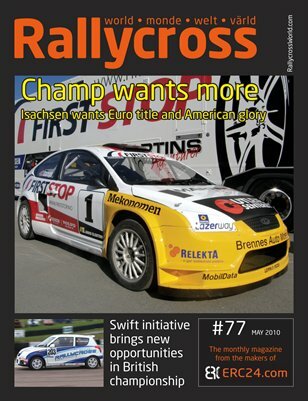 In the May issue of Rallycross World we take a close look at the new Suzuki Swift one-make series that has created a sensation in the British Rallycross Championship. There are also details of Derek Tohill's return to the ERC in a Ford Fiesta VII and more. The essential round up of all that has happened in the last month is included in the Rallycross World diary.